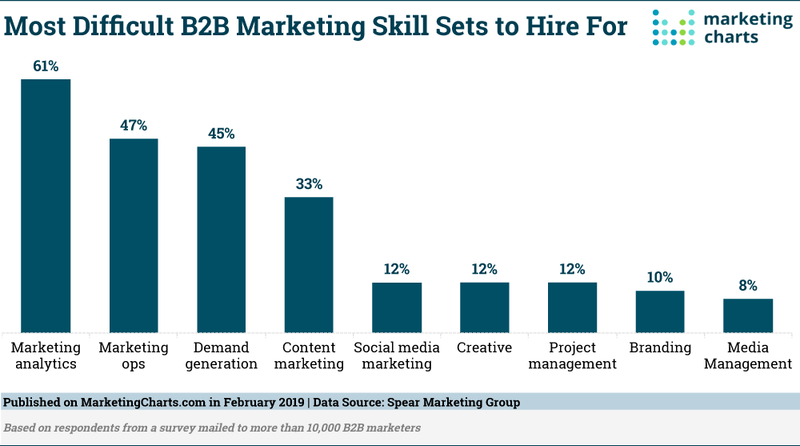 Usually our blogs are reserved for giving, not soliciting, but when we saw this marketingcharts.com article on the most difficult marketing skills to hire for, we couldn’t resist. 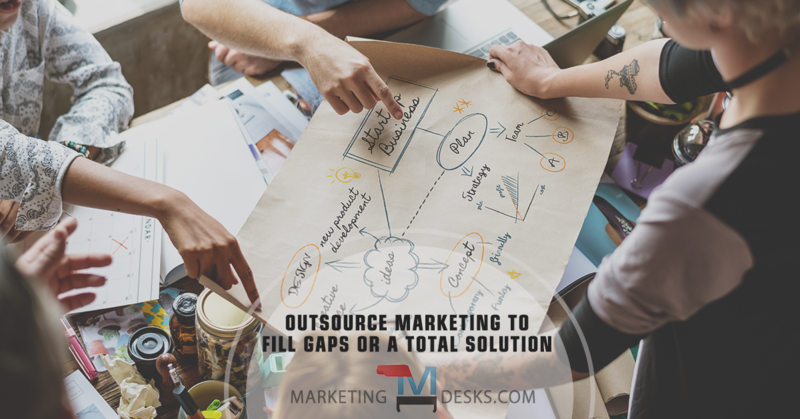 If you have wondered whether to outsource marketing or hire, we’d like to make the case for outsourcing, even if it’s just to fill a gap or get your marketing department fully in place. Should you hire or outsource marketing to ensure all your marketing bases are covered? There’s a reason we call our company the “Marketing Desks.” It’s because we offer a wide range of marketing services. Chances are if your marketing department has a gap or a weak spot, we can come along side your team and either fill it or strengthen your team with consulting and training. Likewise, with a wide range of marketing services available, we can create a customized outsource marketing solution to help you grow your business faster. Outsource marketing solutions for hard-to-hire-for skills, cost savings, efficiency and effectiveness. 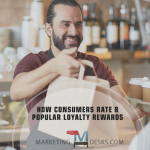 Have you ever heard the story of the CEO who said, “Half of my marketing is working really well; I just can’t figure out which half!” Marketers (sorry, folks) are often hired for their creativity, whether that be in graphics, content, campaigns, etc. It shouldn’t come as a big surprise that analytics aren’t really their thing! Our team has a great balance of left and right brain thinkers. We want to know which half of your outsource marketing solution is working! We wrap analytics into all of our solutions, so that you’ll know whether your marketing is generating leads, increasing brand awareness and getting customers to take actions you want them to take. We measure, track and report on the effectiveness of your website, email and social media marketing. We dive deep into Google Analytics, Webmaster Tools, Bing Webmaster Tools and use SEMRush to study not only your results, but to keep track of your competitors, so you can win there too. Here’s where we really shine as an outsource marketing solution. Not only do we have all the skills needed (branding, content marketing, SEO, SEM, web design, web development, copywriting, graphic design, etc.) to build you a robust digital marketing solution, we also have in-house services like business videography and photography. When you can get all of the skills you need from one marketing agency, you can keep costs down. We can offer you a truly personalized, customized outsource marketing solution to fill gaps or build a total package that you can set and forget. Well, see the skillset listed above. We can deploy our marketing skills quickly; however, we don’t do this without a plan. 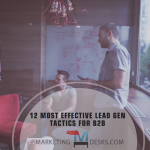 We will write a marketing plan including specific goals for customer acquisition, retention, sales and lead generation. We’ll track and measure progress against those goals. And we’ll keep refining the plan so that your marketing machine is producing the results you want – and need. Oh man. Content marketing is our wheelhouse! We know how to write copy that engages real people, and we know how to marry that content with SEO (search engine optimization) so that your content gets found online, by people in your target audience. And once those people engage, this same copy persuades them to take action. Plus, since we have in-house video we can also add great video content to your website and social media which is proven to generate more traffic, leads and conversions. Our team has decades of combined experience in effective use of social media. We don’t create social media profiles that sit and stagnate. We use an editorial calendar to make sure that your social media channels are sharing engaging and informative content to attract your target market. That great content we put on your website gets shared consistently across social channels, driving even more traffic to your website, increasing brand awareness, increasing brand trust, creating and nurturing relationships with members of your target audience. If you guessed that we have great in-house creative, you guessed correctly. From scripting to campaigns to graphic design, photography and videography, we will elevate your brand and make your marketing more engaging. When you outsource marketing to our team, you will have an account manager who knows where every piece of your marketing solution is in process. We will work with you at your pace. We’re in this together! Unlike the marketing stereotype of disorganized creatives, we are highly organized and thoughtful in choosing the right person to manage your account. We’re also extremely flexible so that we can step in and help one another where needed. Is every aspect of your brand aligned with the vision you have? If not, there is room for improvement. Whether you need a brand identity defined and created, or it’s time for a brand refresh, our team has years of experience creating strong brands in a variety of industries, including both B2B (business to business) and B2C (business to consumer, or retail) organizations. Ok, so “building” is not on the list of hard-to-hire-for marketing skills. But we wanted to point out that since we have the experience, skills and knowledge to build a robust outsource marketing solution, we can also put that to work for you as consultants, to help you hire, train and build an in-house marketing team that can take your company to the top. If your marketing department needs some training in one or more of these areas, we would love to transfer our knowledge and experience to your team. Reach out for a free, no-risk quote to find out what we can do for your business. We would love to be part of your story!